Already using Google+? Follow Mashable News for the latest about the platformâ€™s new features, tips and tricks as well as our top social media and technology updates. Google+ hit the news feeds like a strategic and popular ton of bricks. But we havenâ€™t stopped there. In addition to breaking news, Mashable has provided how-tos and tools for maximizing your Google+ experience. Weâ€™ve sourced reviews from some of the networkâ€™s early adopters, and weâ€™ve also welcomed your input as you navigate one of the most buzzworthy social outlets of the year. Read on for Mashableâ€˜s roundup of all resources Google+. Gather tips, analyze reviews, participate in polls and, as always, voice your thoughts in the comments below. Here are some pros and cons of Google+, from the social networkâ€™s early users. Mashableâ€™s Ben Parr takes Googleâ€™s new social network, Google+, for a spin. Check out his review. This Google+ cheat sheet includes most of the common syntax, hotkeys and tips you need to know to use Google+ like a pro. Whether you want to get better notifications, enjoy improved sharing options, or scroll through your stream faster, thereâ€™s a free Chrome Extension to help. A new userscript turns Google+ into a Facebook clone. Want an easy way to access Google+ while using Google Apps accounts? Hereâ€™s how to create a Google+ desktop app. Who says Android phone users get to have all the fun uploading photos to Google+? Hereâ€™s how to do that with an iPhone, too. Gplus.to lets you create a vanity URL for your Google+ Profile. A new Google Chrome extension makes extracting Facebook contacts a lot easier, helping new Google+ users more easily reconstruct their respective social graphs. Weâ€™ve scoured the profiles, Twitter feeds and blogs of the top Google+ users. You might be surprised to hear their reviews of the recent social networking phenomenon. Google+, the search giantâ€™s social network, has just received a strong endorsement from MySpace co-founder Tom Anderson. Google+ is getting rave reviews in the tech press and from early adopters, but weâ€™ve seen that with social networks before. Does Plus have what it takes to succeed long term? Ever wonder why Google picked a search-unfriendly and clumsy name for its ambitious new social network? The answer may be right in front of you. It looks like Google has some big features planned for Google+, including a much rumored Google Games product. Weâ€™ve found five funny videos that offer a comedic look at the new service, including some classic memes updated for the occasion and some spoof walkthroughs that will make you smile. Now that Facebook has unveiled its video chat service, we have to ask: how does it compare to Google+ Hangouts? Will Google+ give Facebook a run for its money, or will it fall flat like some of Googleâ€™s previous attempts at social? 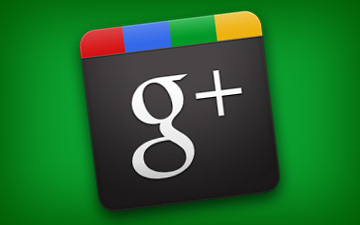 Weâ€™d like to open this question to our readers: what features do you think Google should add to Google+ next?